The Body Voyage is a stunning travelog of the human body. 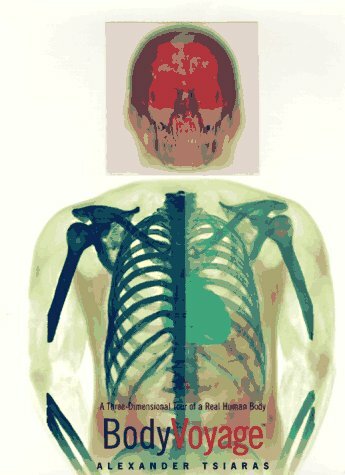 The images are taken from a death-row inmate's body, finely sliced and scanned into a computer after his execution. This groundbreaking technique, undertaken by the National Library of Medicine's Visible Human Project, actually makes contact prints of the a human body and reassembles them by computer. Alexander Tsiaras' short essays provide an interesting companion to the images, providing pertinent bits of human natural history. The cover has an exquisite hologram that will make you want to pick this book up as much as the insides will.